BLANCHESTER — A man stopped for a traffic violation is in this country illegally, according to authorities. Late Sunday morning, Blanchester Police Ptl. Sarah Luken stopped a driver for speeding in the 600 block of Bourbon Street; The driver and lone occupant of the car was Alvaro Sanchez Ramirez, 26, of Elgin, Ill, according to Police Chief Scott Reinbolt. “The only identification Mr. Sanchez Ramirez was able to produce was a Mexican passport,” said Reinbolt. “Checks of the Ohio and Illinois motor vehicle databases returned no valid driver’s license for him. The car he was operating was a rental car. Ptl. 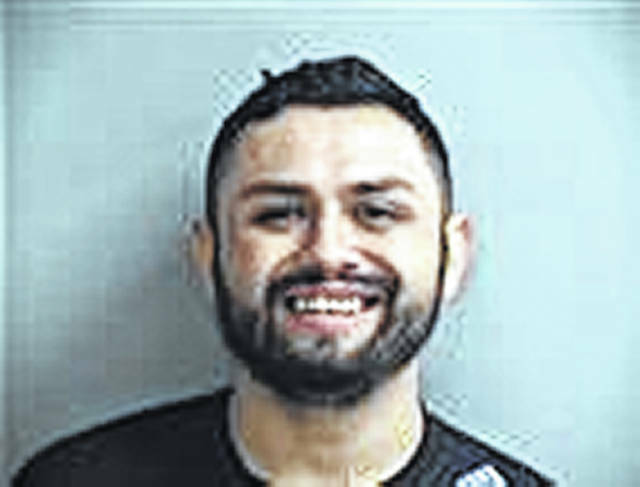 Luken placed Sanchez Ramirez under arrest for operating a motor vehicle without a valid driver’s license and transported him to the Clinton County Jail, where he was held, said Reinbolt. The car he was driving was impounded.